The local mayor cut the ribbon at the opening ceremony on Monday, October 29. 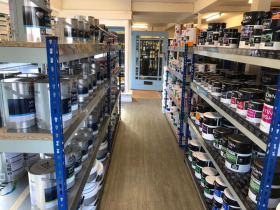 The independent DIY store, which has traded in the town for 25 years, closed its doors in September and has been taken over by Trade Paints, re-opening as the sixth branch within the decorating group yesterday (Monday, October 29). Rye DIY announced its closure on social media in August due to the fact that its previous owners were retiring. As the business, which operates from a double-fronted unit on Cinqueport Street, had initially been unsuccessful in securing new owners to continue running it as a DIY store, its last day of trading took place on September 1. The statement read: “You may of [sic] heard rumours that we are getting new owners, that was true, unfortunately due to unforeseen circumstances, that is no longer happening, and with the current owners retiring in September, our only option is to close. However, just 10 days later, a competition was announced on Rye DIY’s Facebook page asking users to guess what shop would be opening on the site in coming weeks, before Trade Paints then confirmed, this month, that it had taken over the site and would be re-opening Rye DIY, offering “an extensive range of DIY products, as well as the superb range of decorating materials you’d expect from a Trade Paints branch”. In order to meet with local demand, it also invited stock suggestions from local customers. Its new owners spent weeks re-fitting the shop and, whilst the business has retained its original name the store carries new signage that reflects the Trade Paints colourways and typography. Describing the takeover of Rye DIY as “a perfect evolution for Trade Paints”, the company said: “The plan is to very much combine the knowledge we have of the decorating world with the more diverse selection one would expect from a traditional DIY store.” The double unit allows the company the space to provide a full Trade Paints offer, as well as ironmongery, electrical and plumbing products, light bulbs, logs, and a key cutting service. When asked why the shop has re-opened under the original Rye DIY name rather than Trade Paints, in keeping with the rest of the chain, a spokesperson for the company explained: “After much deliberation, we simply decided it's too good a name, and has too much history, to not carry it on.” The business also said that the Trade Paints name can sometimes lead to confusion amongst consumers who think the retail business serves trade customers only. 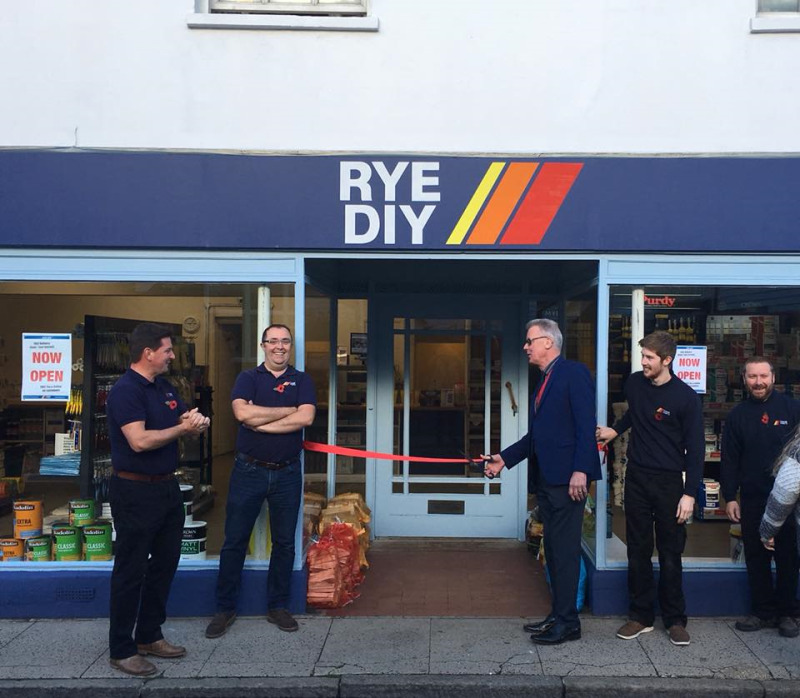 Like the other branches in the Trade Paints group, the newly re-opened Rye DIY will offer free tea and coffee for customers, free wet paint signs and free delivery. It will also carry the Mylands range and can mix Farrow & Ball equivalents in a number of “economical and robust paints”. 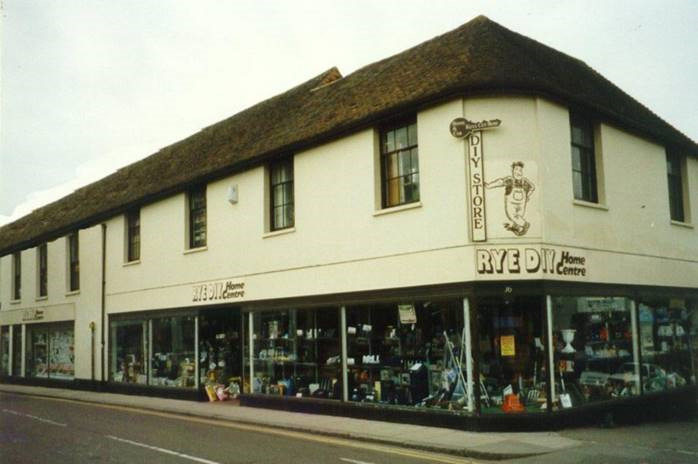 Reports suggest not all of Rye DIY’s existing employees were retained under the change of ownership, although Trade Paints said staff were passed contact details and “asked to get in touch if they were interested in continuing to work there” when the site reopened.